I recently got in touch with a friend who used to be my “best friend” about twenty years ago. Facebook is amazing like that. And of course the first thing we did was begin talking about how much we enjoyed spending time together back then, all the things we used to do (i.e. go to the mall and paint each other’s nails), and caught up on what happened to us since. One of the things we both had the most vivid memory of was her old room where we would spend countless hours doing practically nothing while listening to bad 90’s music. I confessed to her that I don’t really like Nirvana, and probably never did. She did and still does, so I had to explain that that is precisely the reason I was so into them at the time. Everyone loved Nirvana and even though I didn’t understand it in these terms they were a cultural phenomenon that could not simply be balked at – they represented a movement that was simultaneously antiestablishment and totally mainstream, and in order to maintain any semblance of normality in the eyes of your peers, you had to like Nirvana. 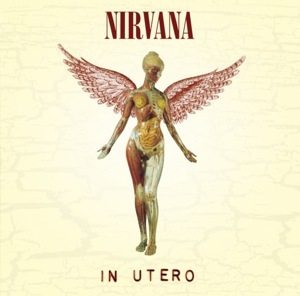 So I bought Nevermind and when In Utero and From the Muddy Banks of Wishkah came out I embraced them wholeheartedly as perhaps my only means of having anything in common with those in my immediate surroundings. I spent years discussing their amazingness and how they revolutionized music. While secretly I was more in love with Kurt Cobain’s wife, Courtney Love, and her band, Hole. In fact I am listening to her right now as I write this, and realize why I like her so much better, but why Nirvana will always have a special place in my memories. Hole’s lyrics resonated with me then, even more now, and at various other points in my life, always applying themselves in the same way. Yes, I am doll parts, doll eyes, doll mouth, doll legs, and I have always wanted to be the girl with the most cake, but as much as I never wanted to arrive anywhere dowsed in mud or soaked in bleach, it is the latter words that bring back the fondest memories. For better or worse, or however you want to look at it, Smells Like Teen Spirit, not Celebrity Skin, was blaring in the background as we were experimenting with silver glitter polish and blue lipstick believing these things would get the attention of men like Renton from Trainspotting. Things changed, I ended up with different friends, but Nirvana always managed to weave itself in and out of my social circles to where I could recognize and name any one of their songs in only three beats. Later on when I met S, despite that he had not grown up with Nirvana, he was an ardent fan. When his Bleach tape broke, I was the one who bought him the album again. Even later on I recall being at a New Year’s party, long after Nirvana’s heyday, and one of my friends was attempting to explain to another Nirvana’s music genius. He emphatically stated “You just don’t understand!” and I thought, yes, and no, I don’t. However, I was beginning to understand my affinity for the band had less, or nothing, to do with their music, or even what they represented culturally/socially, but rather with what they meant for me. They were just another band that acoustically triggered fond memories, and in a Pavlovian-like sense, you play Heart Shaped Box, and I get the urge to eat junk food and have my nails done.